Are motor shows still important? 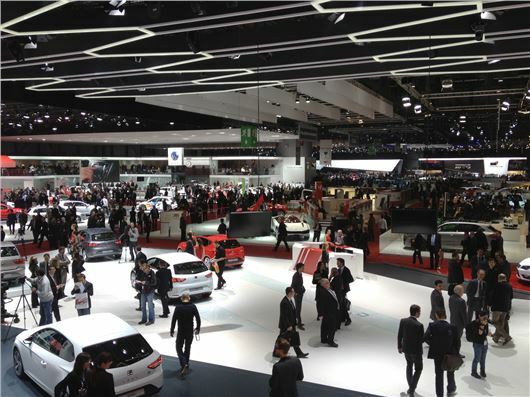 It may only happen once every two years, alternating with Paris, but the Frankfurt Motor Show is one of the key dates in the motoring calender. It's also one of the biggest, not just in importance but in sheer size. The site is massively spread out compared to Paris and Geneva - the latter of which seems wonderfully compact in comparison. It uses several massive halls at the IAA site and rumour has it that if you get round everything you'll have covered nine miles. It's certainly a day when journalists and photographers earn their money. Of course it's the German manufacturers which go all out at Frankfurt. No surprises there. In 2011 Mercedes-Benz had a whole building to itself (with Smart plonked on the side) while BMW went similarly big with a hall that included a raised road with cars driving around it all day. Sitting there with a Rolls Royce whizzing past above you was surreal. Of course Audi had to go one better and the firm actually built its own structure in between the other halls that also included a track. I was lucky enough to be driven round it in an Audi R8 e-tron and it was a unique experience. Although I can't even imagine the health and safety forms involved. This year we're expecting even bigger and better things. There may be a global recession but that doesn't seem to be affecting car manufacturers when it comes to spending money on motor shows. Often it seems cost is no object, despite the fact that the majority of new car buyers want a car that's cheap to run and good value for money. That's not the side you see at motor shows. Here it's all champagne, bright lights and shiny new models. The one exception was Paris in 2010 when Lotus - of all companies - completely stole the show when it unveiled not one but five cars. I've never seen so many journalists go into metldown. Of course you can't easily put a price on the effect of what is essentially a huge marketing exercise. They don't sell any cars at motor shows, but the press coverage generated is huge. For most brands it's simply a case that they can't afford NOT to be there. Because their precious hall space will quickly be filled by a rival manufacturer. For us press lot it's an odd day too. We all traipse out there (two years ago we drove ourselves but this year we'll be flying) for two very long and hot days, yet most of the cars on show have already been revealed in press releases weeks or even months before. So yes we get to see the cars 'in the metal' as they say, but it's nothing we couldn't see from a photo viewed from the comfort of our offices. The big automotive news source, Newspress, even send out a photographer who then uploads pictures to its website throughout the day. It's a shame as there's nothing new these days. Most things we've seen or have a 'teaser' image, but rarely is there a real surprise, one of those new cars that no one was expecting. That surely is the way to make waves on a day totally saturated with new car news. The one exception was Paris in 2010 when Lotus - of all companies - completely stole the show when it unveiled not one but five cars. I've never seen so many journalists go into metldown as they tried to get all the details on what was happening. The fact it was at the end of the day when most people were knackered didn't help. Of course, knowing the state of Lotus now, we should have all known better. It's no surprise we've never seen any of those cars - and never will. But that's the excitement that makes motor shows worthwhile. There's always that hope that there will be another Lotus moment. As always we will be covering the press days exclusively live using our clever live software. It means we can upload photos too but the best bit is that you - our readers - can add your comments and ask questions. And we want you to get involved. You can find more details about our live coverage here.